This absolutely fabulous large box is French made during the Art Deco period and would have been for chocolates. 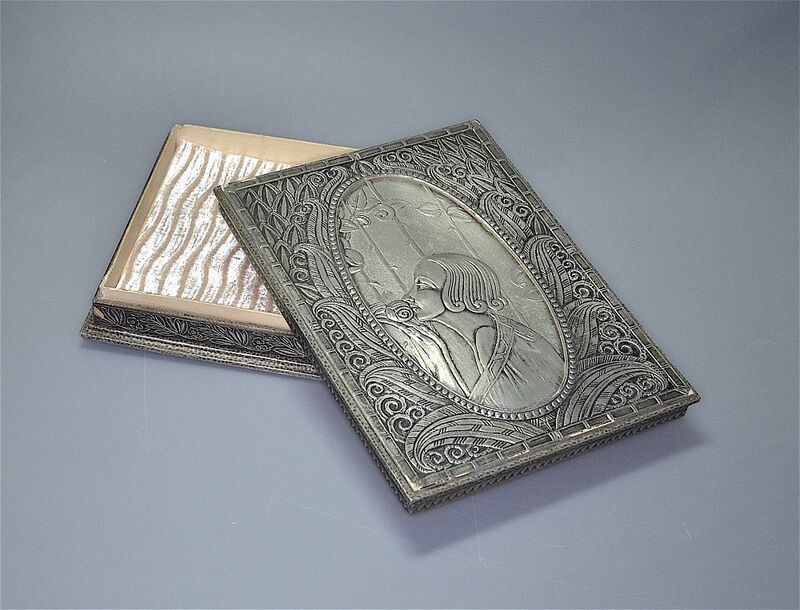 It appears to be made of layers of compressed card the final layer being silvered and embossed. (It is however possible that parts namely the sides are made of wood.) The sides are heavily decorated with flowers and leaves and geometric designs whilst the top has a central foliage framed oval cartouche containing a woman with a flapper haircut smelling a rose. The box has small brass pyramid feet. If the box is this quality can you imagine the luxury and expense of the chocolates that it would have held! 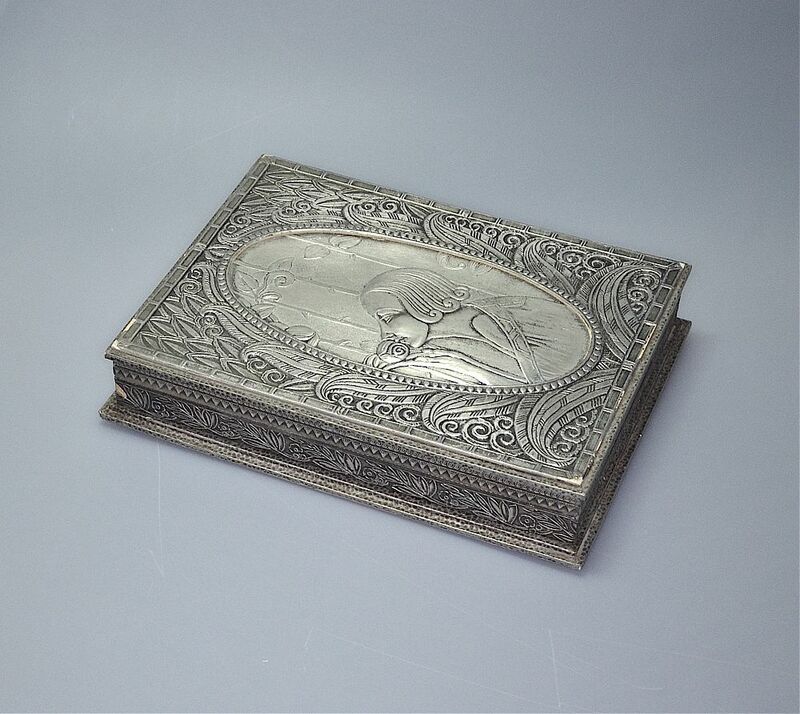 Wouldn't it make a fantastic jewellery or make-up box?